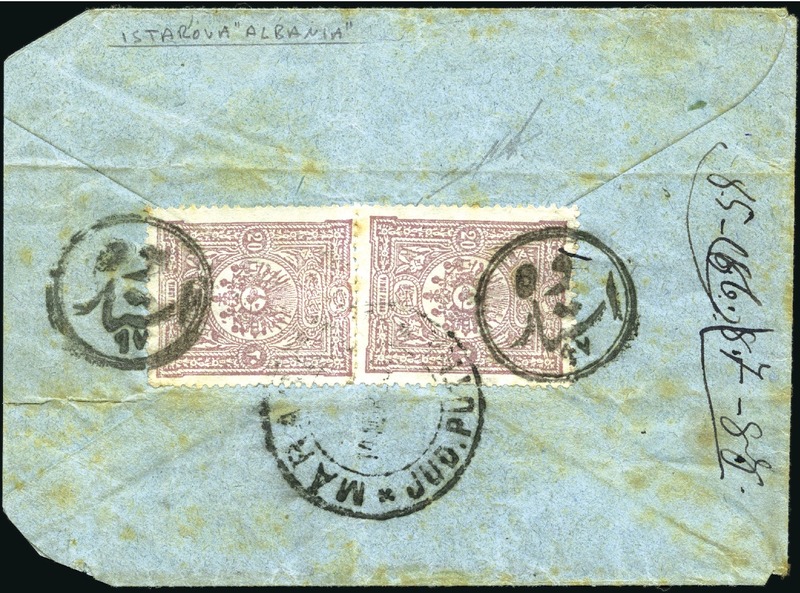 Pogradec-Starova : 1892 Cover to Romania franked on reverse by 1892 issue 20 pa. claret (2) tied by two strikes of circular all Arabic “Istarova” handstamps (Coles & Walker fig. 52) in black., the pair also tied on arrival by Maranesti cds. 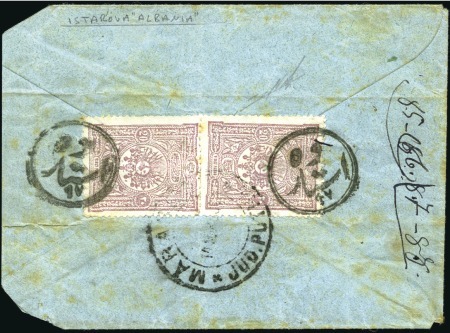 Envelope slightly trimmed but rare. Signed Nakri.